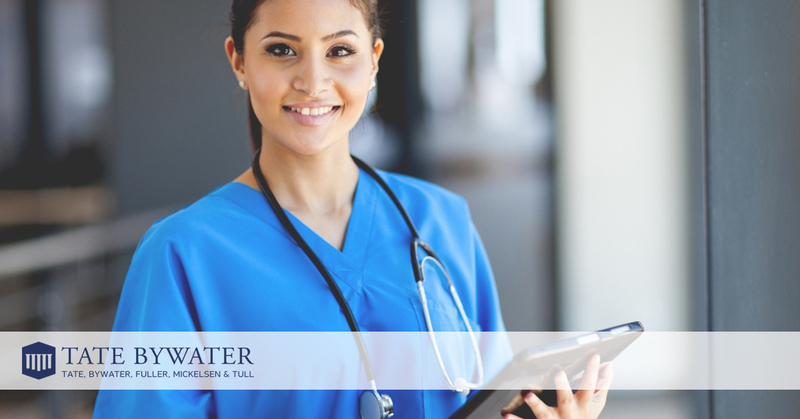 At TATE BYWATER we have successfully defended prominent cases against healthcare providers in the Washington DC area. We have been so successful because we understand the legalities of the healthcare system and are constantly on top of changing healthcare laws. At the first sign of trouble, contact us in case preventive steps can be taken. We can provide the following services and more. Representation during reviews: Healthcare providers seek us out because of the thorough knowledge and excellent track record we have when representing them before licensing boards. We also have extensive experience representing doctors and other health professionals during peer reviews and disciplinary hearings. When your career is on the line, make sure you hire a law firm that will take all the necessary steps (including investigative service) to get you the best possible outcome. Defense against medical malpractice: When it comes to medical malpractice civil lawsuits, there’s a lot of money on the line. Some claimants may have legitimate claims, while others only see dollar signs. Either way, we’re here to make sure that those claims are mitigated as much as possible, up to and including dismissal of the case. We understand that it’s much more than just your reputation at stake…it’s your ability to practice in the healthcare field at all. That’s why it’s important to contact a law firm with a team of attorneys who will do everything they can to keep your good name in the clear. Contact TATE BYWATER as soon as you can.